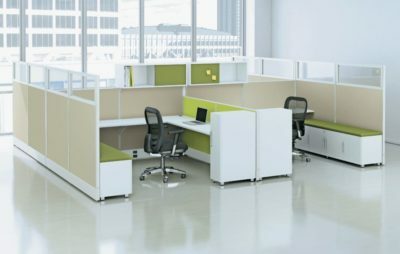 Searching for a pre-owned Allsteel corner cubicles? 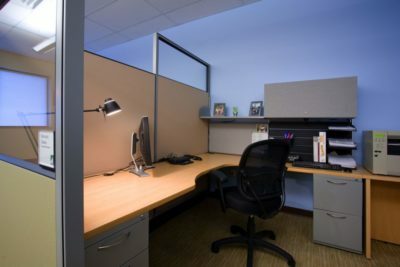 Office Liquidation has a large selection of grey corner cubicles available in our large Orlando corner cubicles warehouse. You will find the lowest cost on reconditioned Allsteel corner cubicles. 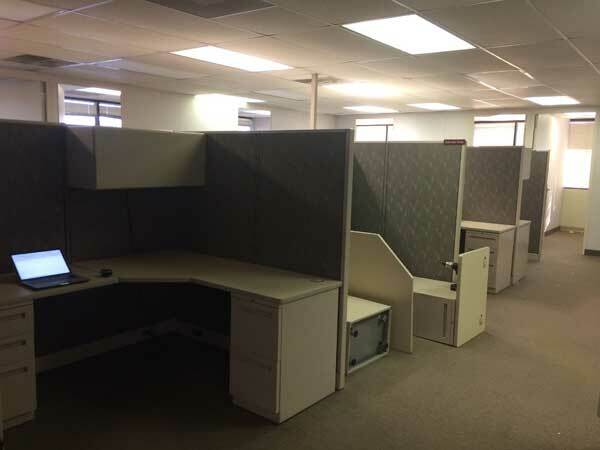 We are Orlando’s reconditioned corner cubicles source. 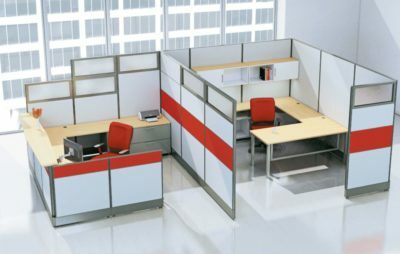 Buy pre-owned Grey corner cubicles by Allsteel at Office Liquidation in Orlando. This is an 8 pack of cubicles that are 6×6 with l-shaped an f/f/b and B/B. and also desk They also have an over head bin.